In this first of a series of articles on building your own AR 15, I will pass on what I’ve learned from this process. Fortunately (for me and readers) my associates are quite akamai in this arena. The first step in the process is choosing a stripped lower to build your rifle. Roughly the length of a checkbook and the width of an egg carton, the lower receiver contains the rifle’s viscera—the trigger and hammer assemblies as well as the magazine. The pistol grip, the stock and the buffer assembly, are also attached to the receiver. This hollowed out hunk of 7075-T6 aluminum alloy (which is almost always anodized black) is classified as a ‘firearm’ by the Federal Government and has a serial number. When you purchase it from a Mainland source you’ll need the proper FFL docs to send to the distributor. You’ll be hit with an FFL fee, which will vary according to your dealer. The receiver will be sent to an FFL, who you will then acquire it from. The next step is to register it with the HPD. Here on Oahu, I work with Al Mongeon (aka Ready on the Right) who charges a very reasonable $30 per transaction. Getting a hold of a stripped receiver, prior to the re-election and the subsequent incident at Newtown, have not been easy. Fearing a resurrection of the AWB prompted all out panic buying. Thus it wasn’t a matter of choosing what brand you wanted, it was a matter of finding anything at all. Prior to the buying frenzy, one could pick up a forged lower receiver for as little as $75. The average price for a “name brand” such as Stag, CMMG or DPMS was between $120 –150. Some companies. Such as Aero Precision, took advantage of the demand and jacked up prices to around $200. Other firms kept their prices in check. (Of course by the time distributors sold out their inventory, it really didn’t matter what the price was). 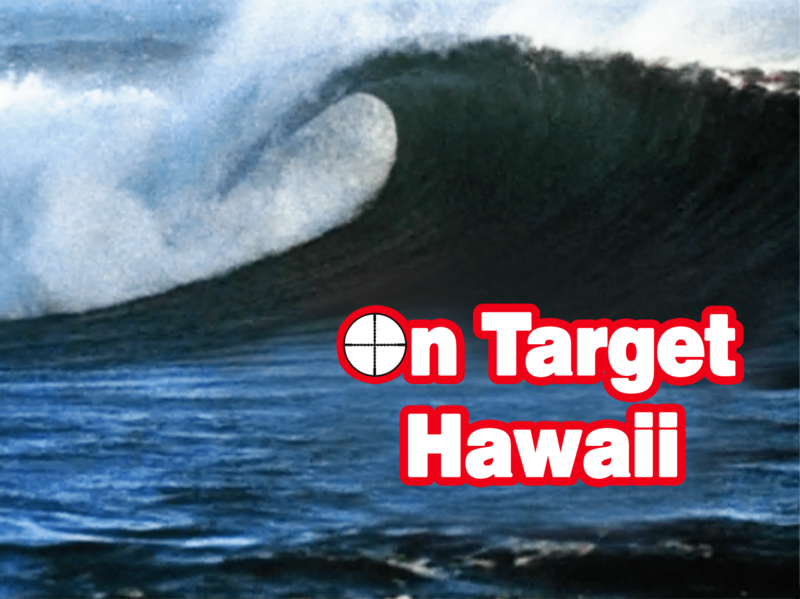 Reflecting the national trend, I saw a lower receiver at the Gun Show at Blaisdell going for $250 and one advertised on 2ahawaii.com for $275. For the heck of it I called OGC Tactical in Kalihi and they had one for $170. A few days later it was $200. 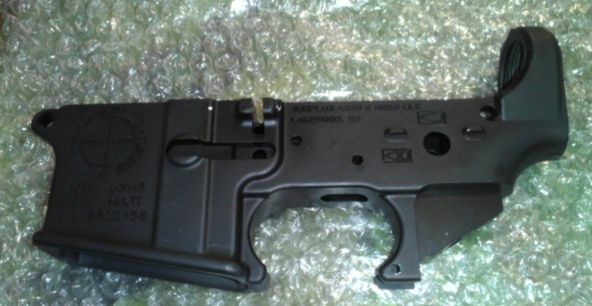 At the time of publication, stripped lowers are very slowly trickling back on the shelves of the mainland distributors. Just from talking to various outlets, I get the sense that supply will catch up with demand over the next few months. Colorado-based Randy Terbush of Forge Mark Arms told me that he now has opportunities to purchase large quantities of forged lowers that weren’t available only a few weeks ago. If you’re restless where can you find a forged lower for under $200? Check with your local shops but chances are you’re better off surfing the web and checking out places like Brownells, DSA or Midway. If you do a search on the web for “THE ‘IN STOCK’ LOWER RECEIVER THREAD” chances are you’ll find something. It’s not just the lowers that are in short supply. 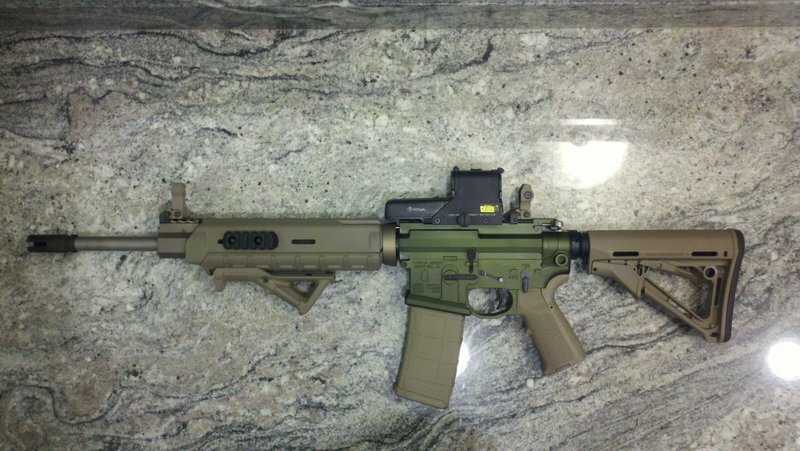 Getting the lower receiver parts kits (known as “LPKs”) to build the stripped lower has also been a hassle. If you don’t have a trigger, the pins, springs, etc, you can’t build a gun. Prices of parts kits have gone from an average of $60 or so to over $100—if you can get them at all. Presumably as lowers start to return to the market, so will parts kits. One can only hope. What Brand of stripped lower to buy? Once the market returns to a more normal equilibrium, and you have a choice, it doesn’t matter too much. They are all, with the exception of finish and rollmark, pretty much the same. Sure, if you want a bit more piece of mind it’s nice buy a name brand, but the reality is, stripped lowers are commodities. Any lower will work, but choosing a “cool” rollmark may be just as important to you as purchasing a Louis Vuitton brand bag may be for others. 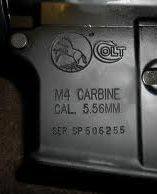 The logos can be animals such as deer (Stag Arms), stallion (Colt), sabre tooth tiger, (the now defunct Sabre Defense) or images of rifles (CMMG). One of my favorites is the familiar image of Ben Franklin (Franklin Armory). It’s my understanding that there are only a couple of manufacturers who OEM the forged lowers, which they sell to everyone else who machine and finish them. They make the raw product. Some of the big ones I’m aware of are Cerro, Anchor Harvey, and BA Forging. A number of other companies make their own, higher end billet receivers. The forging process typically takes a piece of metal that is smashed into a shape while red hot and malleable. In this case, an aluminum ingot or billet is heated to between 800 and 900 degrees Fahrenheit (depending on the alloy) and then pressed (forged) in a precision-machined closed die press to create the final shape. The “forging” also refers to the rough, shaped object. Why would you consider buy a billet lower? “Pure aesthetics,” says Randy. “Billet lowers are prized for their fine finishes and priced accordingly. 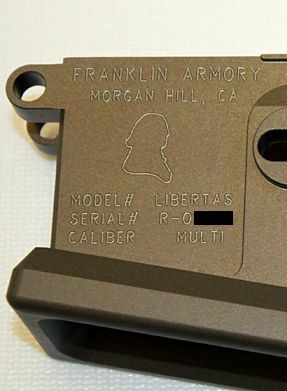 You’ll usually pay double for a billet lower.” (Note the difference between the rollmark and smooth surface of the Franklin Armory (billet lower) compared to the others, which are forgings. (More on this in our next installment). If you plan on buying a new AR style rifle don’t be concerned that forged receiver is significantly stronger than a fully machined lower. There is simply very little real difference in the material strengths. So long as the material is 7075-T6 (as virtually as are nowadays) you should make your decision based on the price, aesthetics and features. If you are of a certain age, you’ll remember the famous line in “The Graduate” where Dustin Hoffman’s character was told in no uncertain terms that “plastic” was the future. That may be the case for AR 15 lowers at some point, but for now, judging from what I see on the forums, the gun buying public seems to prefer good old fashioned aluminum. In short, despite the success of companies such as Glock have had with deploying polymer in handguns, no one seems to be in a rush to buy plastic lowers for ARs. (Who knows, maybe the current dearth of aluminum lowers may spur this product). Are they any good? From what I’ve been reading, they look good enough for the average person. They are a lot cheaper too. I haven’t heard of the government or law enforcement agencies buying them. Stay tuned for part #2 of our DIY AR 15 series. In the next segment we’ll closely examine a few lowers we were able to acquire and compare the look of a billet with a forged receiver. You really should premise this article by telling people they should not follow these instructions unless they absolutely know what they are doing and have the correct equipment. I can just see someone attempting to follow your instructions, and having the entire thing blow up in their face, the first time they pull the trigger, because they were sloppy, did not have the right tools, or decided to cut corners with inferior quality parts. Yes, you have a point and the advice is well taken. The intent of the story is not to replace the American Gunsmithing Institute's course on an AR build. We want to chronicle our experiences building an AR and pass on whatever advice we can for those who may be interested. Can we build a lower? I think that will be straight forward. Can we build an upper? Not without some humility, the right tools and an expert (as in an experienced gunsmith) watching over us. We value our lives and limbs as much as anyone.